Our company is an official distributor/service provider of GRACO, the world leader in two-component polyurethane foam spraying machines. We provide state-of-the art tools for spray polyurethane insulations, in order to guarantee the perfect quality. In case of starting a new business, we not only manage the installation, but also we can provide complex training based on our implementation experiences in this field since 2005. Aside from machine distribution, we provide complex maintenance service, accessory/spare part supply. 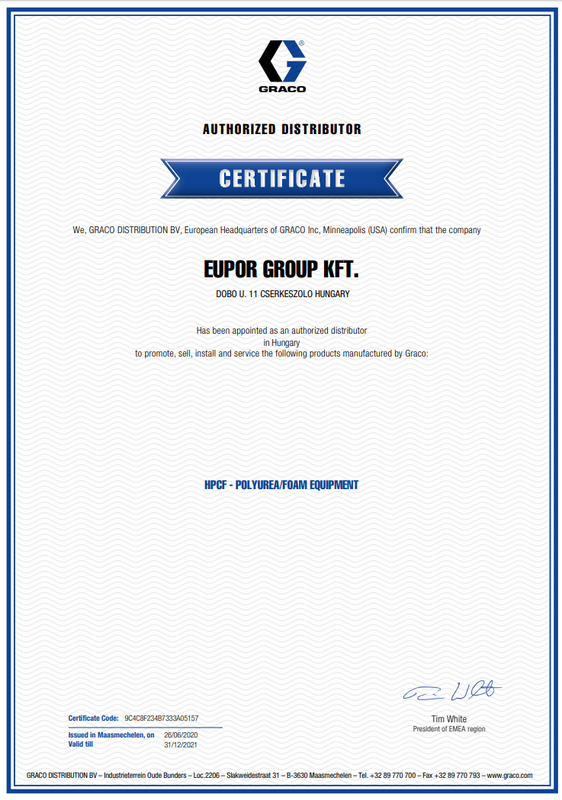 Why choose an official GRACO distributor?